I’ve been taking part in a great project to create a unique, crafted blanket to showcase a relatively new posting service called InPost. I’m one of many bloggers who will craft a 12 x 12 square, attach it to the previously crafted squares and post it on to the next blogger to do their bit. I loved the idea, and thought it would be another opportunity to put my Cricut Explore into action. I’m not much of a traditional crafter, and don’t even own a sewing machine, but the Cricut allows me to do my own DIY and crafting without the need for one. I was 3rd in line to receive the parcel and trotted off to my nearest InPost lockers to collect it. 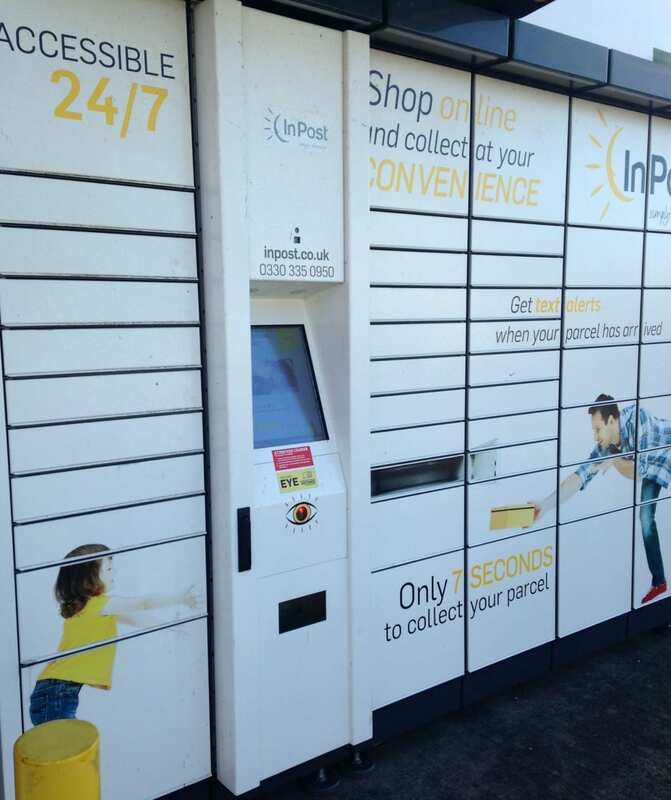 The lockers are great, and allow you to collect your parcels any time of the day or night. It was really simple to scan the QR code I’d been sent from my phone, and ping, the relevant locker opened allowing me to retrieve my parcel. 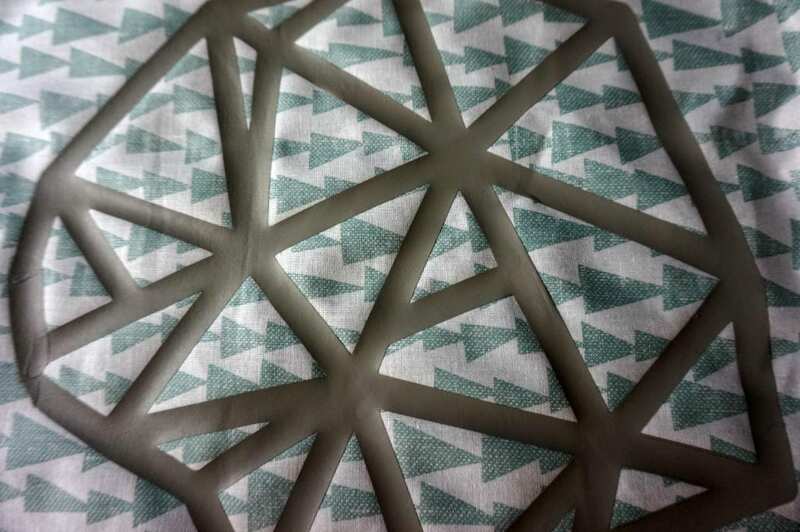 I’d chosen some contemporary material in complementary colours and wanted to use the Cricut to cut a pattern from the plain fabric so I could attach it to the patterned piece. Unfortunately, the Cricut complained bitterly about cutting through the fabric, so it was time for Plan B. 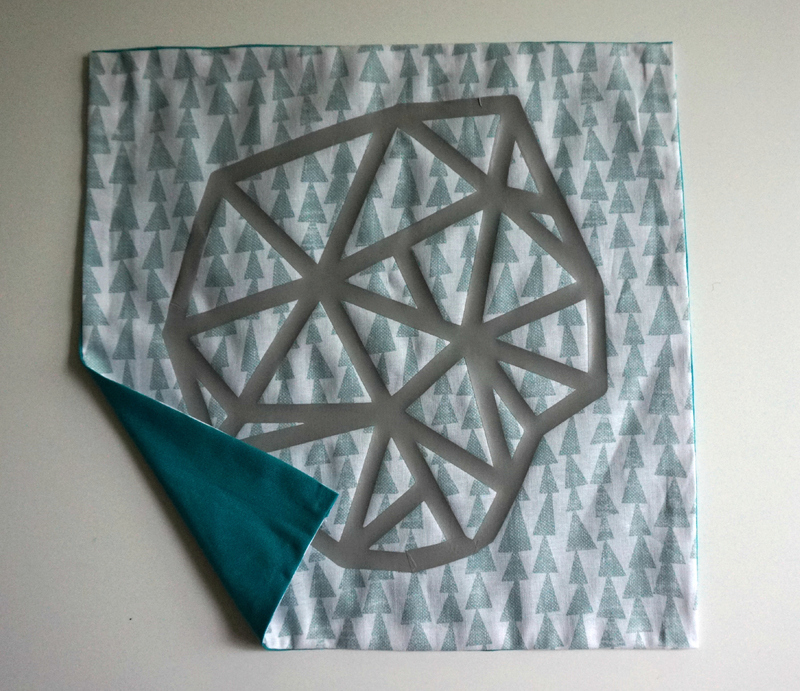 Using some Iron On Vinyl, I cut out this geometric shape from the Design Space software, and ironed it onto the fabric. Then using fabric glue I attached the two layers of fabric together. Simple. In a matter of 30 minutes the square was complete. Using the InPost service online, I was able to tell the system where I wanted to send the parcel, pay the fee and print the postage label. Then all that’s needed is to wait for a courier to come and collect it, before they deliver it to your recipient’s nearest locker. They then receive a notification that the parcel is ready to collect. I can’t wait to see how the blanket evolves as it travels the country over the next few months. The plan is to donate the finished product to charity. What a lovely idea! 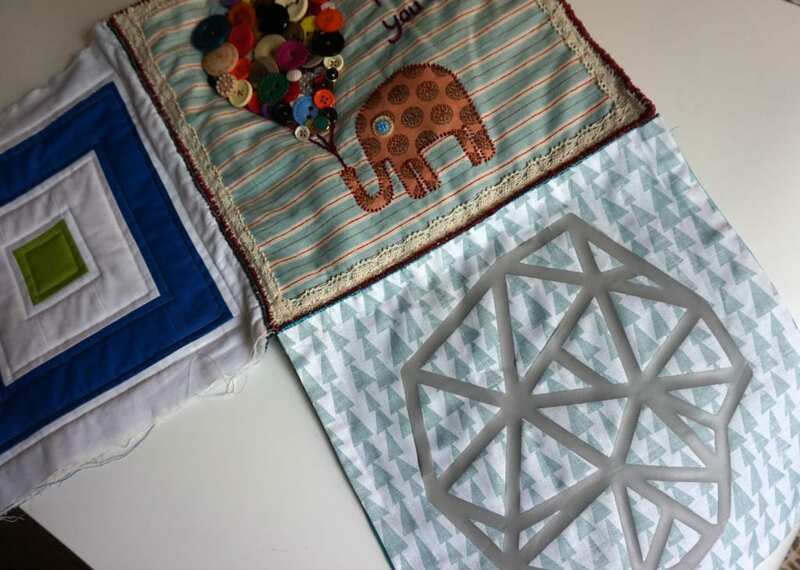 What a great idea – the quilt will look amazing when it’s finished! What a fabulous plan this is! I love it! ooh, interesting to see how this will turn out! Oohhh, I love your square! That sounds like such a good postal service as well – I’m so fed up with Royal Mail at the moment, losing things and whatnot! Your square is gorgeous! I’m taking part too but I’m towards the end, can’t wait to see the blanket as it progresses! Glad to hear that the InPost service worked smoothly, it sounds like a really good idea. Sorry that didn’t work properly, this is me!